Complete with sound, John Harrison (Benedict Cumberbatch) lets it be known he’s out for vengeance and wants to destroy us all. As expected, not much is known about the plot, but what we can anticipate from the second “Star Trek” film under J.J. Abrams’ direction is a lot of action, emotion and fewer lens flares. 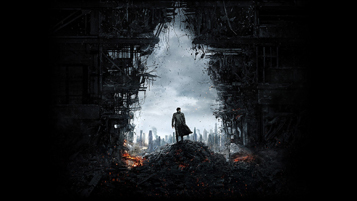 “Star Trek Into Darkness” teleports into theaters May 15. It also stars Chris Pine, Zachary Quinto, Zoe Saldana, Simon Pegg, Anton Yelchin, John Cho, Alice Eve, Peter Weller, Bruce Greenwood, Nazneen Contractor and Noel Clarke. Very cool article AND motion visual!